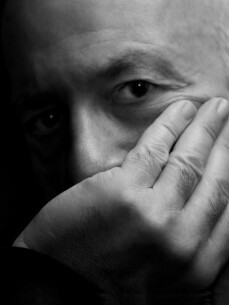 Daniel Miller first became interested in synthesizer music at Guildford School of Art where he studied film and television from 1968-71. By the end of the sixties he had become frustrated with rock music due to the lack of experimentation. Around this time he was discovering the sound of German bands like Can, Faust, Neu! and Kraftwerk. These bands were creating new sounds, something Miller wanted to hear. He worked as a DJ in Switzerland for a while before returning to England at the height of punk. He began listening to punk because of the energy and excitement of the music. He liked the whole do-it-yourself attitude that came with the style of music and later spilled over into the electronic music scene. Synthesizers were becoming cheaper to buy and new bands were appearing such as Throbbing Gristle and Cabaret Voltaire. This inspired Miller to create his own music. Making some money from film editing and working ridiculous hours he gathered enough money to buy a cheap Korg 700S synthesizer and a four track tape recorder. This led to the creation of The Normal. After returning from the live tour Miller found a pile of demo tapes on his doorstep. Because he had included an address on the ‘Warm Leatherette’ single cover people had wanted to do a similar small scale deal with Mute. The turning point for Mute Records came when Miller listened to a tape by an artist called Fad Gadget and liked what he heard. In 1979 Mute Records began releasing singles by Fad Gadget including ‘Back to Nature’, the follow-up to ‘Warm Leatherette’. Miller ran the label from his North-West London flat. Another early Mute signing was the American artist Boyd Rice (NON). Although he DJed many years ago, Daniel Miller’s recent DJing was inspired by an invitation from Karl O’Connor aka Regis who invited him to perform at a Sandwell District event at Berlin’s Berghain. There he caught the bug to play again and since has been playing regular techno sets worldwide including Sonar, ENTER at Space in Ibiza, ADE in Amsterdam, IMS at Ibiza, Electron festival, LEAF festival in London as well as at Culture Box in Copenhagen, Bootleg in Tel Aviv and, of course, a legendary performance at M-Nus’ Christmas Boiler Room in Berlin.